Given the Beatles’ reluctance to issue much previously unreleased material, late 2013 saw two major surprises. One was Live at the BBC Vol. 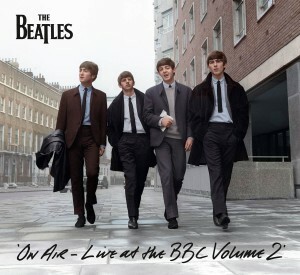 2, which made a double CD’s worth of 1963-64 BBC performances officially available for the first time. The other, also containing a double CD or so of early Beatles material that hadn’t hit the market before, flew almost under the radar. Only obtainable through iTunes downloads, these 59 (actually 58 – more on that in a minute) tracks were dryly titled Bootleg Recordings 1963, mixing several dozen BBC cuts with studio outtakes and a couple demos. All dating from 1963, these tracks went on sale for $40 on December 17, 2013, and could also be purchased individually. 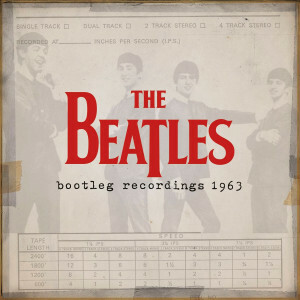 Available only on iTunes, Bootleg Recordings 1963 has 58 previously unreleased Beatles recordings from that year. It was no coincidence that the release arrived just two weeks before the end of the year. December 31, 2013 would have marked the last day on which the group’s unreleased recordings from 1963 would have been protected by copyright in the European Union. By issuing them for official sale—via however low-profile a channel—the Beatles and EMI were now able to claim copyright for all of the recordings on Bootleg Recordings 1963 for the next 70 years (until 2084). Otherwise the cuts ran the risk of going into public domain, to be issued willy-nilly by whomever wished, with no legal consequences. A mercenary strategy? You bet, but the Beatles, for once, weren’t first. On December 27, 2012, Sony Music issued a four-CD set of 86 Bob Dylan outtakes and live performances from the year 1962, just five days before they would have entered the public domain. A six-LP Sony set doing the same thing for unissued 1963 Dylan recordings followed in November 2013. As just 100 copies of the CD and LP sets were issued (and then only in Europe), it was pretty clear these were solely intended for this purpose. At least Sony made no bones about what it was doing, titling the compilation of 1962 material The Copyright Extension Collection Vol. I. Naturally this was instantly bootlegged, especially as it contained some material that hadn’t even made it into bootleggers’ hands. 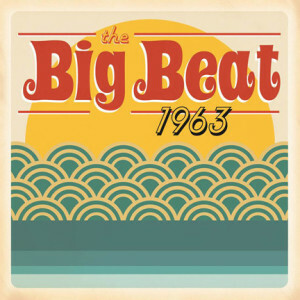 And in late 2013, Brian Wilson & the Beach Boys’ iTunes release The Big Beat 1963—consisting of 22 unreleased cuts from 1963 that Wilson had a hand in writing, performing, and/or producing (only three by the Beach Boys themselves)—was issued for the same reason. Naturally this was promptly bootlegged too, though most Beatles/Dylan/Beach Boys fans remain unaware that iTunes also put out compilations of hitherto unreleased Motown recordings from 1962 and 1963 to beat the same deadlines. The Beatles’ Bootleg Recordings 1963, however, is likely to sell by far the most copies of any of these nick-of-time anthologies, though it too was instantly bootlegged, usually selling for about one-fourth the official price—and with no apparent loss in packaging (which was virtually nonexistent via iTunes anyway) or sound quality. Only available from iTunes, The Big Beat 1963 has rarities in which Brian Wilson was involved as songwriter, producer, and/or singer, though just three of these are credited to the Beach Boys. What of Bootleg Recordings 1963’s actual contents, however? Well, it’s a pretty good selection of some of the better items from that year that hadn’t been sold over the counter. More than two-thirds of them were from BBC sessions, including some of the very best renditions that hadn’t appeared on the two Live at the BBC compilations, like the June 24 “Roll Over Beethoven” with the twice-as-long guitar solo; the insanely energetic “Long Tall Sally” from April 1; the second version of “I Got to Find My Baby” (one of the most obscure songs they covered on the radio, based on Chuck Berry’s version); the earliest (January 22) BBC performance of “Some Other Guy,” one of the most popular items in their early live repertoire; and the September 3 “I Saw Her Standing There” with a zany, zesty shouted “eins, zwei, drei, vier!” intro. The complete January 22 “Love Me Do” for Saturday Club appears for the first time anywhere, officially or unofficially, though the only other such “new” item was the studio version of “Money” without George Martin’s piano overdubs. There are also some of the better Please Please Me outtakes (all of them just slightly different versions of songs that made the LP), most in stereo, rather than the mono on previously circulating bootlegs; some of the unissued takes of “From Me to You,” “Thank You Girl,” and “One After 909” from the session for their third single; and take 21 of “Hold Me Tight” (the only With the Beatles outtake, unless you count the undubbed “Money”). And there are the two drumless demos of unissued Lennon-McCartney compositions, “Bad to Me” (given to fellow Brian Epstein clients Billy J. Kramer & the Dakotas, and done with great charm here despite the sparse arrangement and low fidelity) and “I’m in Love” (given to Liverpool band the Fourmost, also managed by Epstein). But as a big difference between this and the Live at the BBC comps, there doesn’t seem to be much if any difference in sound quality between the iTunes downloads and the tracks that have circulated on bootlegs, stereo Please Please Me outtakes aside. In fact, the June 1 “Too Much Monkey Business” sounds distinctly worse in its iTunes incarnation, though the January 22 “Some Other Guy” sounds better, if you’re keeping score. The two-CD Live at the BBC Vol. 2 is, unlike Bootleg Recordings 1963, widely available through standard retail outlets. Does Bootleg Recordings 1963 wrap up everything worth hearing from this stellar year, or even all of the best worth hearing? Hardly. Every fan will have his or her own special favorites, of course, and none would have picked the exact same recordings selected for iTunes. Nonetheless, the omission of even one of the several outtakes of “Don’t Bother Me” in circulation was inexplicable. 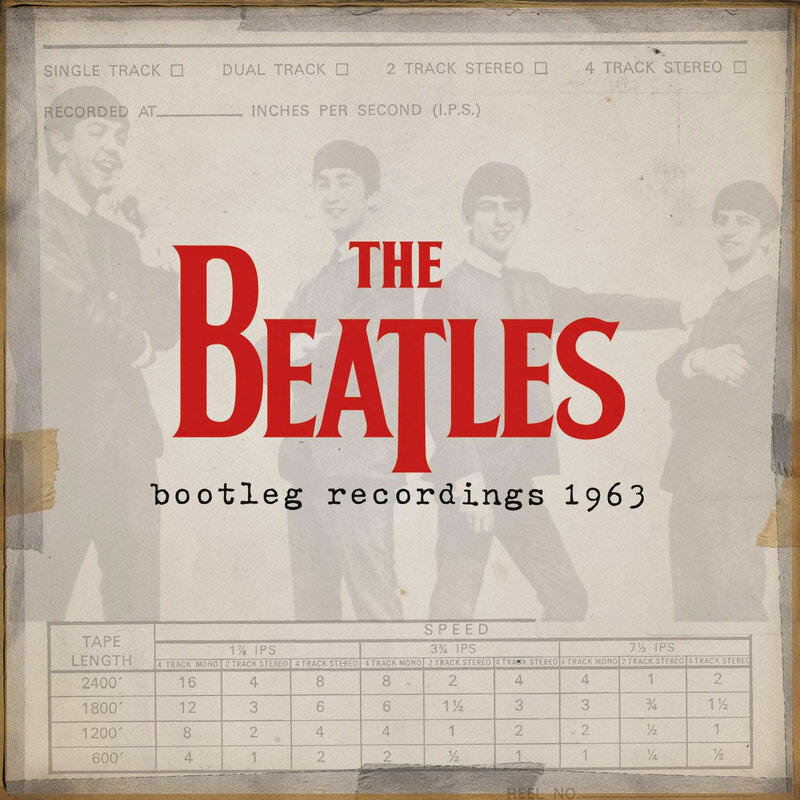 And while the selection of just a few studio alternates from the Please Please Me and “From Me to You”/“Thank You Girl” sessions was perhaps understandable given the general listener doesn’t want to hear the same song done over and over more than three or four times, the more complete series of run-throughs on bootlegs gives scholars a much fuller sense of how the material was perfected at Abbey Road. And for a release by the most famous act of all time through such a well-known, profitable organization, there were an inexcusable number of errors that crept onto the minimal packaging. No less than four of the tracks were misidentified as hailing from the January 22 session for Saturday Club. Embarrassingly (one would hope, at least), one BBC performance of “She Loves You” was used twice—although quite a few Beatles researchers have made the same mistake, assuming that the September 10 and September 24 broadcasts of Pop Go the Beatles used different versions (though each used the same one, recorded on September 3). And of course, there was nothing in the way of informed liner notes, the threadbare annotation consisting of nothing more than take numbers and BBC radio program titles and broadcast dates. Even many bootlegs have done better in that respect—sometimes much, much better. Naturally, Bootleg Recordings 1963 isn’t meant for completists, or likely for typical readers of The Unreleased Beatles: Music and Film. It’s meant for the general public, who want more Beatles but not all Beatles. For that audience, it’s made some good material widely available to listeners who will never acquire it by unofficial means, or even remain unaware of how to do so. Will it stamp out hunger for, let alone distribution of, all the other recordings from 1963 not given official blessing? Of course not. If anything, it might make some fans aware of just how much more is out there—as will any future iTunes volumes as the 50-year copyright expiration comes up for material recorded in 1964, 1965, 1966, 1967, 1968, and 1969. 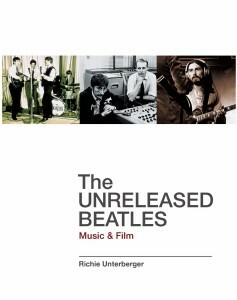 Richie Unterberger, author of this blog, writes much more extensively about all of the Beatles’ unreleased recordings in his book The Unreleased Beatles: Music and Film. Good music, do the Beatles still have unreleased material ?